Samoa will host All Blacks in a historical match in April in 2015, Radio New Zealand reports. The New Zealand and Samoa Rugby Unions have confirmed details on an historic test match between the All Blacks and Manu Samoa to be staged in Apia. 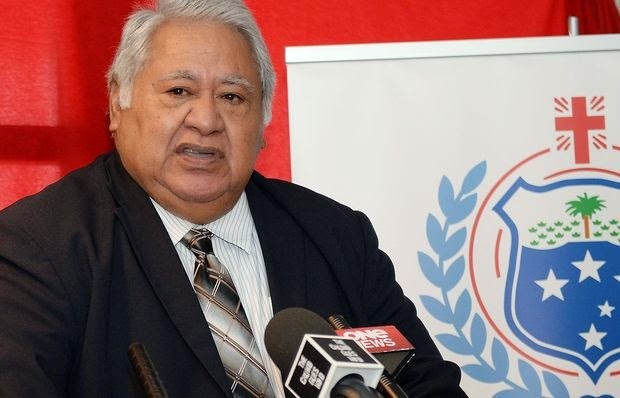 The Samoa Rugby Union Chair, Prime Minister Tuilaepa Sailele Malielegaoi, signed the test match agreement in Wellington this afternoon and says it is a special moment for the Manu Samoa team and the country. "Our contributions to New Zealand Rugby have been well known. It is therefore fitting that Manu Samoa will be hosting the All Blacks and I take this opportunity to express my very sincere appreciation for the support and work of so many people in making this rugby match possible".All Blacks coach Steve Hansen says many of their players have strong ties to Samoa so the Test will be a great occasion and an ideal way to start preparations for the Rugby World Cup. Costs for the match will be covered by sponsors with Samoa to receive any profit from ticket sales.